BY WILMES WINDOW MFG. CO. The new generation of Rigid Vinyl® Replacement Windows. Advanced technological design makes All-Vinyl® stronger, more energy efficient, provides built-in safeguards against weather hazards, and outside noise intrusion. Thanks to Wilmes technology, you can enjoy year-round comfort offered by rigid vinyl windows test-rated for superior performance under extreme weather conditions. Wilmes, a leader in energy saving products for over 37 years presents a new generation in replacement window systems, designed to make homes more comfortable, reduce upkeep, con­serve energy, and cut fuel costs substantially. Built to the highest technological standards, Wilmes’ thermalized All-Vinyl® systems provide waterproof, windproof, weather-tight insulation. A trim uncluttered profile, free of obstructing hard­ware, enhances the appearance of the home. 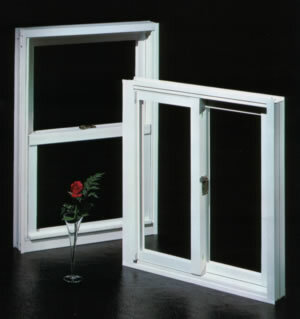 Wilmes’ All-Vinyl® windows were developed after an exhaustive study of the needs of the marketplace. This included a review of all other systems now available including vinyl, aluminum, wood, and combinations of these materials. The strength, stability and insulating properties of rigid vinyl (PVC) were found to provide the most effective barrier against heat loss and condensation while eliminating maintenance pro­blems. 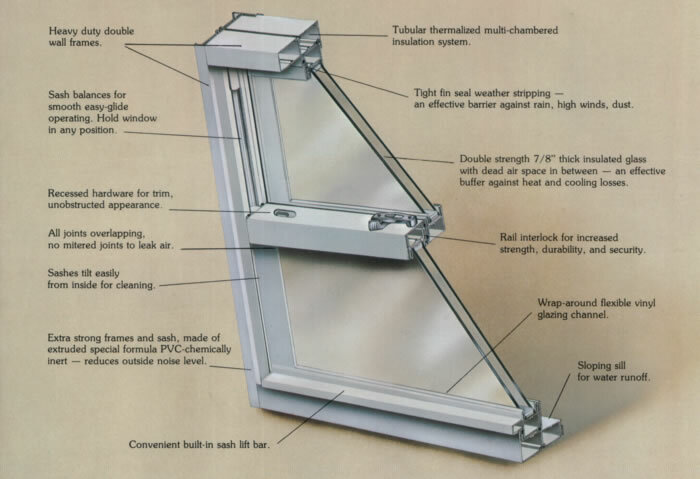 Window replacement systems made from wood and aluminum proved deficient by comparison and more costly in the long run. The development of Wilmes’ All-Vinyl® windows, headed by a team of experts in replacement windows and PVC extrusions, comes at an opportune time. Homemakers and others confronted by rising fuel costs can now enjoy substantial savings on heating­-cooling bills as well as year-round comfort. Besides having a long-term investment in comfort and economy, Wilmes’ All-Vinyl® windows add to the value of the property. Maintenance headaches are virtually eliminated. No painting or puttying will ever be required. All-Vinyl® Windows keep homes quieter by reducing outside noise.